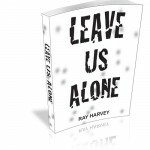 Dear Ray Harvey! You are a true friend to the workingman, such as me. Your book Leave Us Alone should be required reading in our schools. Don’t you get sick and tired of capitalism being everyone’s escape goat, like I do? The halls of congress are crowded with representatives of the “X” industry, saying The “X” industry is sick and dying. The “X” industry must be saved!! Only tariffs and subsidies can save the X industry, and if the X industry dies, workers will be thrown out onto the streets. But if congress acts promply (LOL!!) the X industry can be saved, and then it will buy equiptment from other industries, and more men will be employed. But congress once tried to “save silver” in just such a way to “help the East” when one of its results was to force China into deflation and force China off that basis? The United States Treasury was forced to acquire hoards of unnecessary silver to store in its vaults, at ridiculous prices, the essential aims of the “silver senators” achievable at a fraction of the harm by the payment of the frank subsidy to the mine owners or to there workers. But congress would never have approved a naked steal of this sort unaccompanied by ideological flimflam regarding “silver’s essential role in the currency” as with the Guffey Act under which the coal mines (in which I work) were not permitted but compelled to conspire together to NOT sell below fixed minimum prices fixed by the government. Though congress had started out to fix “the” price of coal, the government soon found itself (because of different sizes, 1000s of mines, and 1000s of different destinations by rail, truck, and barge) fixing 350,000 separate prices for coal! One affect this had of trying to keep coal prices above the competitive market prices was to accelerate the tendency by consumers toward the substitution of other energy sources such as natural gas and oil. If people didn’t expect to be feed off the government “teet” all the time this wouldn’t happen, I feel. Don’t you? Keep up the great work, Ray Harvey!